What holiday gift can you get for the person who already owns an Amazon Echo smart speaker? How about the Echo Wall Clock. 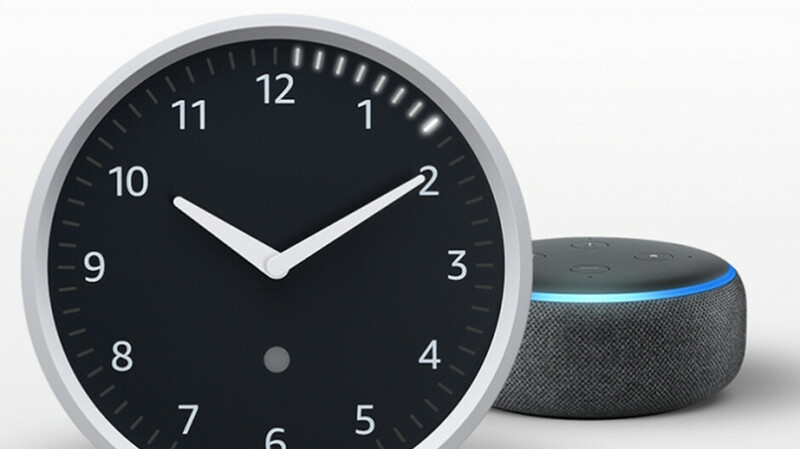 Priced at $29.99 on Amazon's website, the analog clock will show the time of day, and a digital 60- LCD display will show you one or multiple timers that you've set through a paired Echo smart speaker. For example, when you tell Alexa to set a timer for 20 minutes, you'll be able to watch the progress of the timer by viewing the clock. And not only will the Echo Wall Clock set the time automatically by syncing with your Echo speaker, the clock will also adjust automatically when Daylight Saving Time rolls around. And setting up the clock is as simple as saying "Alexa, set up my Echo Wall Clock." The timepiece will work with any Echo, Echo Dot, Echo Show, Echo Plus, Echo Spot, or Echo Input smart speaker. 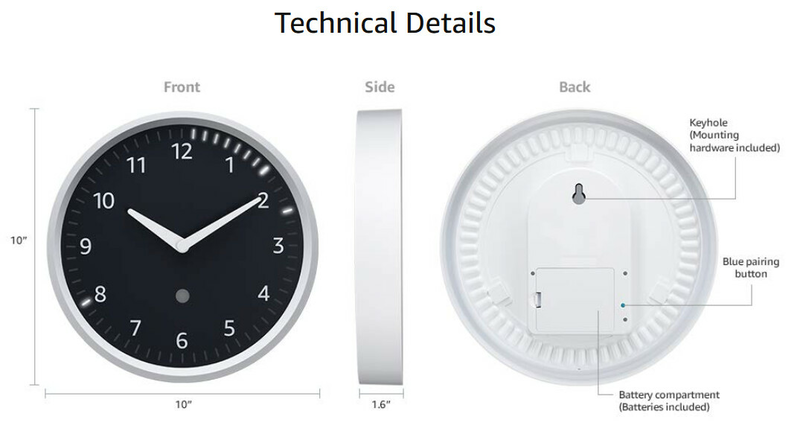 The Echo Wall Clock is 10-inches in diameter and has a white bezel. It comes with the four AA batteries needed to power the clock, and includes all of the hardware you need to mount it. Now here's the caveat. While you can order the Echo Wall Clock now, it won't be in stock until December 24th. That might be cutting it too close for some, although you can always tell your friend, family member, business associate or significant other that their gift is in the mail. Nice idea but why? I wouldn't pay more than $20 for a clock.